For Electricians in Middlesbrough - Contact Us Today For A Free Quote! 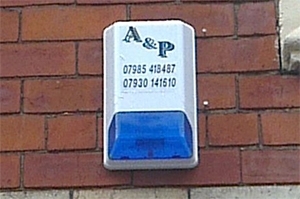 A&P Alarms and Electrics is a small, privately own company of father and son based in Middlesbrough. We are an established local family business offering a fast, professional service to home-owners with a variety of electrical requirements. We carry out all electrical works including; rewires, repairs of faults, light fittings, extra sockets, fire and security alarms, inspections and testing. Our customers are both domestic and commercial. We work in homes, shops and offices and offices for individuals, private landlords, commercial organisations, property management agents and tradespeople. We aim to deliver a profession, high quality service to all our customers and take pride in our work. We have grown consistently in the past 5 years by providing a fast, reliable service at a competitive price. More than half of our business comes from past customers or through personal recommendation. 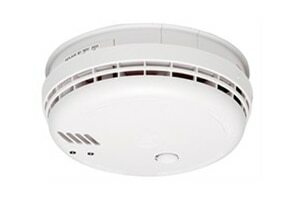 One of our core businesses is residential and commercial intrusion alarm system installations. 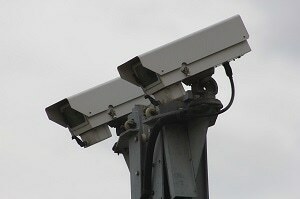 These burglar detection systems are supported by ourselves. Our customers peace of mind is our service objective in matching quality security system installations with our customer's needs and backing up those systems with professional service. 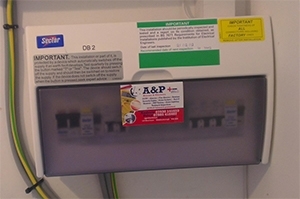 A&P has experience in installing hundreds of these systems that are tailored to individual customer circumstances. Below are some of the many services we offer, if you require a service which is not listed, please feel free to contact us as we carry out most electrical and alarm work.